If you are a fan of Schick Xtreme 3 disposable razors. there’s lots of savings to be had this week at Target. We have a high-value rebate offer on the ibotta app plus an insert coupon to save even more. In addition, we have an in-ad Target coupon for a FREE $5 Gift card with a health & beauty purchase of $20 or more. Buying two will leave you a few cents short of the spending requirement, so you will need to add in a filler item. Here’s one idea for you…. 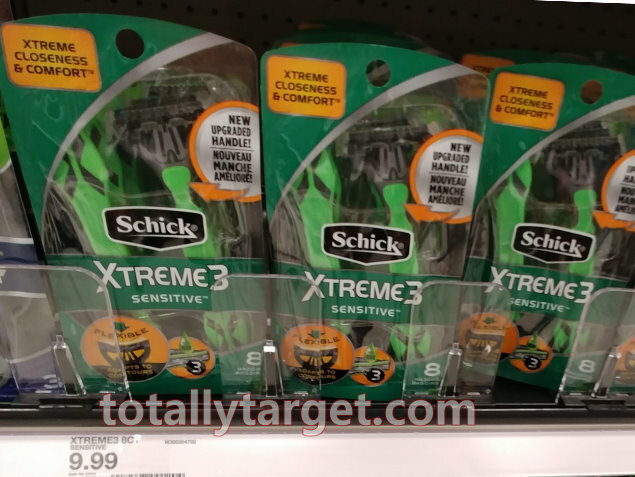 For a great deal on Schick women’s razors, check out my post HERE.